Floral prints are a staple in style and aesthetic, dating back to the beginning of time. Capture timeless elegance with this floral watercolor monogram coaster. Create Your Own Full Color Bumper Sticker 2" x 6"
Feminine florals remind us of simpler times: the renaissance, the golden age, or maybe just grandma's dining room. 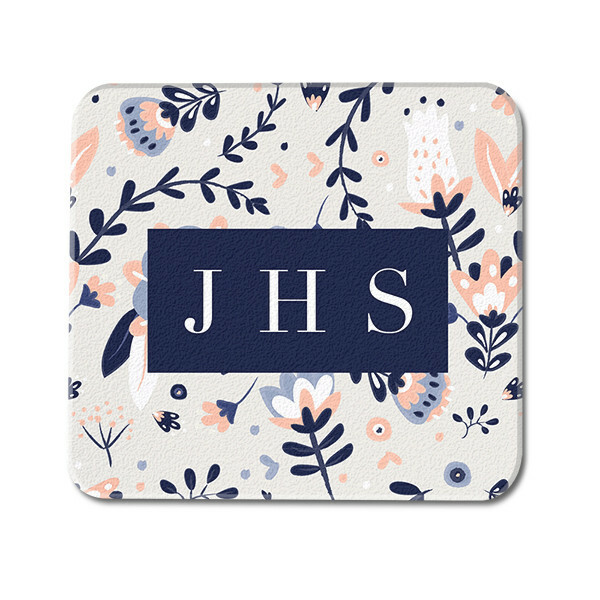 No matter how these lush botanicals take you back, you can add this nostalgic touch to your home or office with the custom initial watercolor glass coaster. Made of Chinchilla-finish tempered glass, your personalized product is built to last, so customize yours now; most orders ship in 3 business days.